Discover the unique atmosphere of two ancient Ukrainian cities! During this tour, you will see all the best in the program – the main sights and symbols of Kyiv & Lviv! 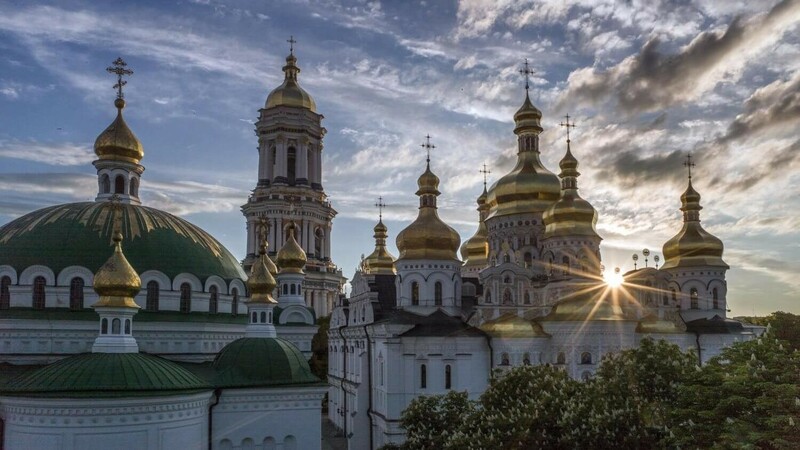 Ancient Kiev is more than 1 500 years old, it is called the “mother of Russian cities”. 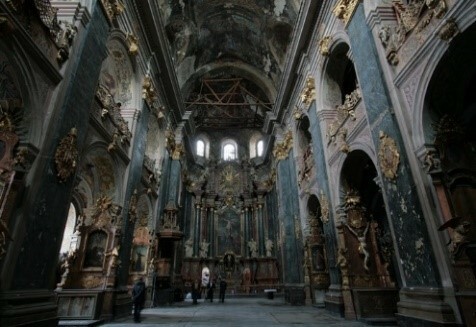 Lviv – is the quintessential old European city. First mentioned in historical records in the year 1256, it was founded by Prince Danylo Halytskyi, who named it in honour of his son Leo. 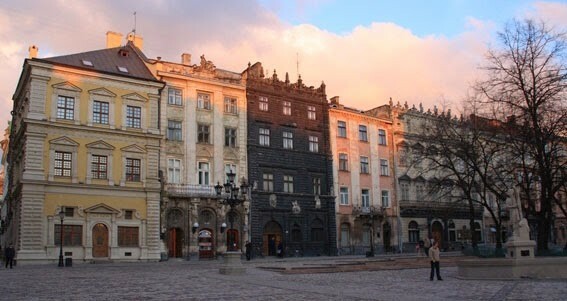 The historical centre of Lviv is complete and self-contained, is included into the UNESCO World Heritage List. Meeting with a guide in the hotel lobby. 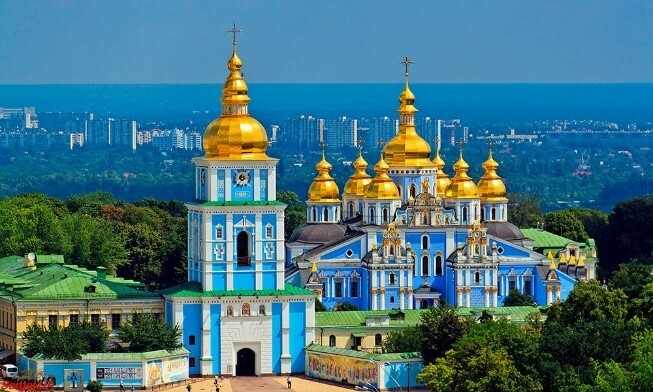 Transfer to the Excursion – Kiev sightseeing city tour. Duration – 3 hours. St. Sophia Square, St. Sophia Cathedral, St. Michael’s Cathedral, Golden Gate, St. Volodymyr’s Cathedral, Opera House, main square of the city – Maidan nezalezhnosti (Independence square); Khreshchatyk Street. 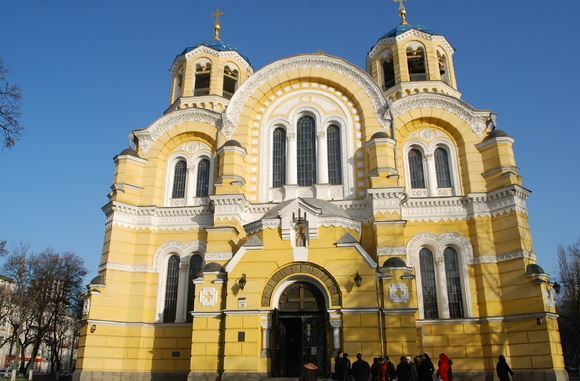 During this excursion, you will see the most interesting main sights of the city: symbol of the city – Golden Gate, one of the most beautiful Ukrainian baroque Orthodox cathedrals, admire the famous Dnipro river steeps, Kyiv bridges and main square of the city. This tour will leave you with a lot of positive impressions and will help you feel the light energy of Kyiv. Meeting with a guide in the hotel lobby. Transfer to the Excursion to The Holy Dormition Kyiv-Pechersk Lavra Monastery. Duration – 3 hours. to learn about the history of this amazing place, about the way of life of the simple monks & the saint ascets who take rest in the walls of a monastery for nearly a thousand years! Gala-Dinner in the thematic Ukrainian cuisine restaurant – from 50 EUR/ 1 person. The National Reserve “Sophia of Kyiv” – is a unique place included in the UNESCO World Heritage List, where cultural, architectural and historical memorials are concentrated: the frescoes and mosaics of the 11th century that make up the world’s most complete ensemble, ancient burials and other elements of centuries-old history. St. Andrew’s Decent – is the second most popular street in Kyiv after Khreshchatyk. It once was a customs house, a frontal place, and a street of “red lights”, and Kyiv’s Montmartre. There are also located many restaurants with bohemian names and romantic atmosphere as well as theatres and museums. Benevolent Kyiv’s artists will offer you to get acquainted with their work directly under the open sky. 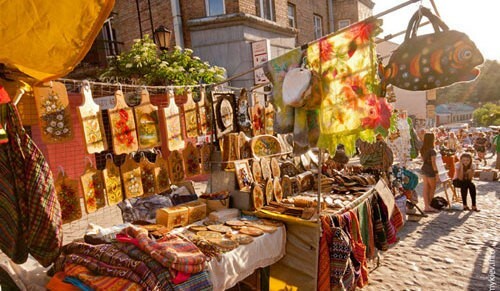 Now, this street is a museum, the street of celebration, shopping & wide choice of Ukrainian souvenirs. 2) A motorboat trip along the Dnipro River – from 15 EUR / 1 person. Dinner in the thematic Ukrainian cuisine restaurant – from 30 EUR/1 person. Check-in to the hotel. Overnight. 07:00 – 09:00 – breakfast in the hotel. Free time in the city. Meeting with a guide in the hotel lobby. Excursion «Streets of the old city Lviv». Duration – 2 hours 15 min. In the Medieval city also preserved defensive structures (Gunpowder tower, Lviv Arsenal and Royal Arsenal fragments of defensive walls) and the great number of temples of different faiths, which were constructed in different periods (Cathedral Basilica of the Assumption, Dormition Church with Chapel of Boims, Bernadine Church (one of the most wonderful churches with gilded wooden altars), Dominican Church (one of the most attractive churches of Lviv of baroque style) and the biggest cathedral of Medieval Lviv, Jesuite church, which could hold about 5 thousand people! During 65 years, this cathedral was closed, but now it is open to visitors (the central altar with the highly artistic crucifixion of Jesus Christ of the 17th century was preserved, the sepulcher of the Lord and the paintings of the side galleries). The tour ends with the pride of the city, the Lviv Opera House. 07:00 – breakfast in the hotel. Free time in the city. Optional excursions. 12:00 – Check-out from the hotel. Free time in the city. – Transfers in Kyiv, Lviv.